Is BitPlay a Scam or Legit? Read Reviews! 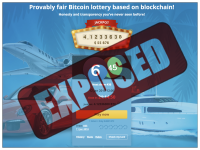 BitPlay Exposed — Is It Really Fair Bitcoin Lottery? With a tag line of “Provably fair Bitcoin lottery based on blockchain!” I was curious on how BitPlay.club’s game worked. This is a proprietary lottery game where players pick 6 numbers from 1 to 45 for each ticket line. The game is for bitcoins (BTC) which has a fluctuating exchange rate to other currencies. That all seems very straightforward right. Let’s go see. BitPlay Club offers a proprietary lottery game. Players can use their favorite six numbers between 1 and 45 or can use one of the systems to select ticket lines. The system options are pick numbers randomly, or you can choose frequent or rare numbers. One ticket line costs 0.0001 BTC (about US $1.58 at today’s exchange rate). Subscriptions are available up to 6 draws and you can play as many ticket lines as you want. The game is played at 08:00 UTC (that’s Universal Time otherwise known as GMT) with the results posted within two hours. Drawing winning numbers use a blockchain format. There is a referral program to encourage more players. There is also a “System Game” which generates “every possible combination of the chosen numbers”. Players choose between 6 to 12 numbers. BitPlay.club uses the example of 7 tickets of 6 numbers which costs the price of 7 tickets. Play 12 numbers and you’re looking at 0.0924 BTC (or US $ 1449.68). Some people believe this type of system increases the probability of winning something. Ticket sales are split 60% towards prizes and 40% to management (service charges, referral awards, marketing & promotion). Okay, then 30% of the 60% prize money goes towards increasing the jackpot. Matching 2 numbers gets 0.0001 BTC which means you get your money back. 3 numbers gets you 25% of the 30% of ticket sales, 4 numbers gets 33%, 5 gets 42% and 6 gets the jackpot (remember the 30% that came off the prize money at the start. When a jackpot isn’t won, it rolls over. BitPlay Club can take part of the not won jackpot as commission to have “reserve funds” up to 50%. Winnings are deposited directly to your account. Oh ya – and of course you’ve got to deposit into your account to play. There is no information on how you withdraw your bitcoins. On the fact of BitPlay.club’s website it is clear that US and Canadian residents can’t play here. There doesn’t appear to be any other restrictions. There is no information who BitPlay.club is, where they are located (no snail mail address) or telephone numbers. Digging into their service agreement, there is an email address, plus on Facebook there is another one. Looking at BitPlay Club’s web page, I got to wondering about the exchange rate they have posted for BTC to USD. The latest jackpot is shown at $58,195 to the BTC jackpot. I did the exchange on a currency site and got about US $5,000 more. Then again, that is one of the challenges relating to bitcoins. Over the last two months it has bounced from 1 BTC equal to US $7,000, up to just over US $20,000 and then back down to around $15,000. Would you mind rating BitPlay.club? If you’re into playing games with bitcoins, then this could be a good site. It is early days for the jackpot (only on their 22nd game) so it could grow depending on the amount of people who play. The referral program might help this. Right now BitPlay Club doesn’t get a thumb’s up or thumb’s down. It’s too new. It will be interesting to see how quickly the jackpot grows which is dependent on how many people are playing. Well, that and the actual value of bitcoins. I purchased 3 tickets here and won nothing so I withdrew the rest of my deposit. Well, at least they let me withdraw my deposit without any hassle. I might play again there, BTC seems to be recovering so who knows, maybe I can grab that jackpot!! !